Just became Licensed? Need your 25-hours of Post License education? Once you settle into your routine as a new agent, you still need to finish a state-mandated and approved 25-hour post-license course. We offer two courses, so you can choose what kind of information you want or need. As a new agent, are you ready to deal with issues like agency disclosure and property management? Can you answer your customer’s questions about tax breaks associated with home ownership? Get up to speed quickly on these topics and more by taking Advanced Topics for New Agents for post license credit. The closing process can be simple, if you understand real estate finance. This course will enhance your knowledge of qualifying buyers, securing a mortgage, closing a sale, and much more. Be knowledgeable without waiting to go through dozens of sales and closings! Both courses meet the 25 hour requirement, and require a final exam. The price for each course is only $125. 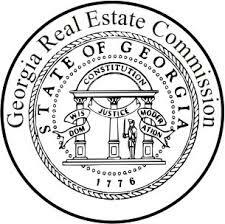 We now offer the lowest prices in town for Georgia Post License Real Estate courses. Begin your new career today!